When my husband and I split up, it was predictably chaotic. My head wasn’t in the game, and it took me several months to identify all of the fallout. I’d been so focused on simply making sure my kids and I were emotionally OK that I didn’t take the time to survey the financial situation we were now in. Like many women, I’d let my husband take care of our finances. I was running a small business and taking care of our kids. I thought, I can’t do it all, but delegation soon became complacency, and it wasn’t until several months later that I realized just how much trouble we were in. The news came in waves. First there were notices about bills that hadn’t been paid on time and were incurring late fees and penalties. Then it took my ex several months to get a job in his new town, so I was responsible for all the costs related to raising our children, operating a household, and paying off old debts. Saying it didn’t go well at first would be a huge understatement. I felt so overwhelmed, and for a while, I hid. I avoided creditor calls and just did the best I could without speaking a word to anyone about our financial crisis that was spiraling out of control. The problem with avoiding creditor phone calls is that it doesn’t stop late fees and penalties from accruing. You’ve got to stop the momentum. Luckily, most creditors will work with you. After all, they just want to get paid. Talk with your creditors about your situation, and ask if there are hardship options available. In many cases, your creditors can put a hold on future penalties as long as you are showing an effort to pay your bill. Make a list of all the things you spend money on, and prioritize. When I took an honest look at my bills, I realized that most of the things on my list were really luxuries that I could certainly live without, at least in the short term. I cancelled my cable, downgraded by cell-phone plan and my Internet service, started clipping coupons and visiting thrift shops for household needs. Reprioritizing my expenses gave me a chance to think about what was most important, but it also made me think outside the box on taking care of some of my needs. Maybe I couldn’t have a gym membership, but I could certainly go walking every day. No cable? Bummer. But Netflix is a cheap alternative. Take an honest look at the income you have, and create a household budget that does not involve using credit cards. Be sure to include a little bit of money for recreation so that you don’t feel deprived. Maybe you can’t go to the movies every weekend, but a matinee once a month might be doable, and it’ll give you something to look forward to. Organizing your finances will help you get a better handle on the situation. If your credit-card debt is very high, you might consider credit counseling. Working with a credit counselor will help you focus on reducing debt without incurring more. You’ll be forced to close your credit lines, and your credit score will take a plunge, but hey, it’s not like that credit was doing you any favors. Be sure to pay attention to the tax consequences of any credit settlements you make through credit counseling and debt consolidation. Sometimes taking a drastic stance against debt can feel a lot like going on a diet—all deprivation and no fun. But that’s why diets fail, right? So set yourself up for success by planning rewards as you make progress on eliminating your debt. No one said getting out of debt would be easy, but there’s still a lot you can do to keep the fun in your life. Look into free tours and programs in your area. Plan a night out or a trip for ice cream. As you get used to your new routines, the rewards, no matter how small, will be a real morale boost. In my own journey to financial well-being, I took some additional steps, including inventorying my house and selling things that I either no longer needed or wanted. Uncluttering our lives and our finances was very liberating for me, and when it came time to move, it made life a lot easier. But it also helped to solidify the lesson I’d learned through all my financial woes: in the end, all that matters is my family. 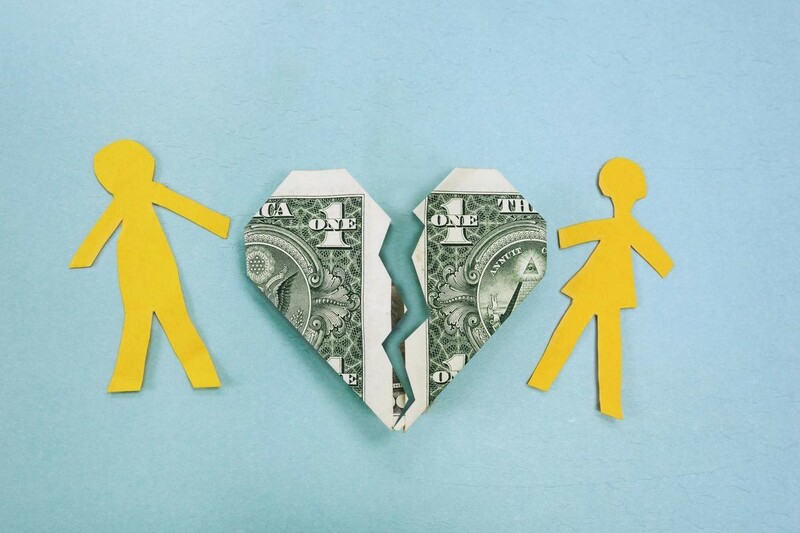 Most Solo Moms must survive on less than married couples. Sister Chat is a private space to ask other Solo Moms how they cope with specific financial challenges.